According to the sources, some IPL team franchise is not happy with the IPL Governing Council proposal to allow the retention of the 1- Indian player and 2-Foreign Player. This will mainly hurt the stars player of the team who is likely to be retained such as Virat Kohli and AB de Villiers for Royal Challengers Bangalore (RCB). And also returning of MS Dhoni to Chennai Super Kings (CSK), if approved who will be automatically retained by CSK as Rising Pune Supergiants (RPS) contract has ended and many more players. But this had not gone down well with may franchise. Mainly the owners of the franchise who are not performing well and doesn’t have star player were mainly in opposition and the bottom-placed teams were in opposition to it. They argued that the performing players will be not allowed to go under the hammer for IPL 2018 Auction and players like Virat Kohli, MS Dhoni, Rohit Sharma, AB de Villiers and many more players will be retained by their respective team. This will kill all the idea of the mega-auction; fresh start as all the players will not in the pool of auction. We are not too convinced of the idea because retention kills the chances of the big names being available for auction. Also, the whole idea of the auction came from the transfer window in football. And if you look at them, every player is free to move to whichever club they feel like according to their preference and the financial offers. If retention is applicable even in the mega-auction, then what sort of a fresh auction is it? We will surely bring this matter up with others owners and the GC during the workshop. As of now, we would like to believe that the old decision stands and all players will be available at the auction. While this argument was opposed by the winning team franchise member by giving the argument that IPL is all about star base and the fan loyalty and suddenly creating a new fan base will be difficult for the franchise. An integral part of the IPL is creating the fan base and loyalty among fans in the different cities. To now suddenly think that after all these years, you would suddenly have a Gautam Gambhir turning up for a different franchise and not Kolkata Knight Riders, or a Virat Kohli not leading Royal Challengers Bangalore out onto the park is a bit awkward for the fans. To be fair, Gambhir means KKR just like Kohli means RCB or say Rohit Sharma means Mumbai Indians. While the number of retentions can surely be worked out, a couple would actually help keep the fan base intact. IPL GC will be placing this in front of the IPL owners at the workshop in next month November. The GC in its meeting on Tuesday proposed allowing franchises to retain at least 3 players going into the 11th edition of the league. "We are going to propose minimum 3 retentions – 1 Indian and 2 foreigners. 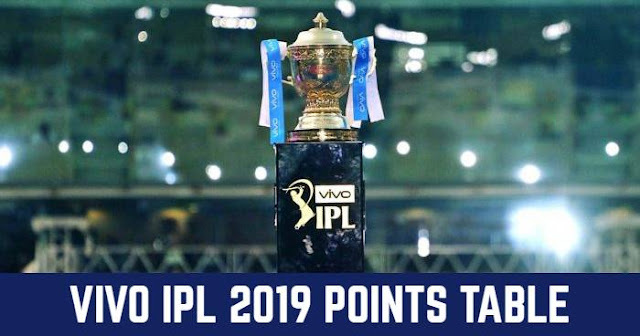 The players, who played for Rising Pune Supergiant and Gujarat Lions in the last two years, can be retained by Chennai Super Kings and Rajasthan Royals. We will place it in front of owners during the workshop next month." While the final decision is to be taken on November 14, after the workshop. It will be interesting to see if players are retained and bottom teams get another chance or they continue to struggle with their players.